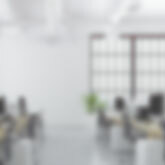 UUNZ is committed to “Educating Aspiring Minds”, We aim to achieve our vision by constantly developing the academic & research culture at our institute, whilst adopting an inspirational and innovative approach, and maintaining financial and environmental responsibility. Our mission is to continue delivering quality education for the wider benefit of the economic and international education development of New Zealand. We remain fully committed and supportive to all our students and stakeholders. UUNZ is led by the CEO and founder, Dr Jinming Chen. Dr Jinming (Jimmy) Chen has trained and worked as a Clinical Cardiology Fellow and Cardiologist in both China and Australia. He has spent nearly thirty years in the practice of medicine and retains a contract with two Chinese Medical Universities as Senior Consultant Cardiologist. 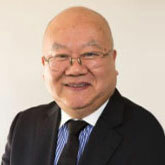 Dr Chen has a comprehensive knowledge of the education systems in both the Peoples Republic of China and New Zealand and has fostered close links with education leaders in Asia particularly in the Peoples Republic of China. In addition to his clinical and educational roles he is President of the New Zealand Henanese Association, CEO of the New Zealand Health Foundation for Asian and Ethnic Communities, an overseas member of the Federation of Returned Overseas Chinese, a member of the Overseas Advisory Committee of the Overseas Chinese Affairs Office of the State Council of the PRC and Deputy Chair of the Overseas Exchange Associations of both Heilongjiang and Henan Provinces of the PRC. David is also the Deputy Chair (Deputy Chancellor) on the Board of Northrise University in Zambia and consults to other tertiary education providers in Australia and overseas. John Hinchcliff taught philosophy, was a university chaplain, head of Humanities at RMIT in Melbourne, and CEO of ATI, AIT and AUT University, an Auckland City Councillor and president of the Auckland Rotary Club. He earned a Masters and a PhD degree in philosophy and received the Companion of the New Zealand Order of Merit. 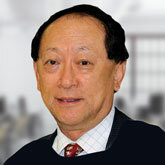 Sam Chan, is the Principal Partner of the chartered accounting firm S M Chan & Partners Ltd in Auckland. He was elected Chairman of the Auckland Branch-Institute of Chartered Accountants of New Zealand during 1991 & 1992. Nora is Director of the Confucius Institute in Auckland with nearly 30 years of experience in Chinese language teaching at the University of Auckland. She is a council member of the International Society for Chinese Language Teaching and a member of the expert panel of International Chinese Teaching Materials Development. In 1987, together with Brian Peace and Paul Grey, he co-founded Peace Software in Auckland, a company specialising in the development of software for the Utility Industry (Gas and Electricity). He was also the founding Chair (2001-2004) of the Auckland University Software Engineering Advisory Board. Juanita is the Director and Owner of Telelink Call Centre and SAAS based sales company supplying comprehensive and high quality contact centre solutions and Field Sales systems that use cloud based SAAS products to provide real time analytics to both Corporate and Government clients. 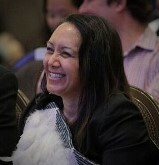 Juanita is also a Non-Executive Director of EIMS NZ and Dartell Institution, having over 21 years of experience in the Leadership of Teams of which 13 years was in the government sector and is an International Speaker. 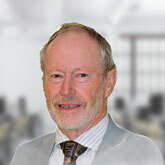 Martin is an Executive Director and shareholder in Armillary Private Capital’s Auckland office, a director of Airwork Holdings, an independent director of Spectrum Consulting and founder and majority owner of a nutraceuticals distribution company. 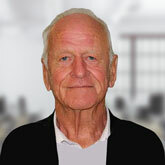 Martin has over 25 years of governance and corporate finance experience in Asia, New Zealand and Europe. As founder and director of a Hong Kong based advisory company Martin facilitated many China/New Zealand ventures, with a particular focus on assisting NZ companies to expand in the Greater China region. 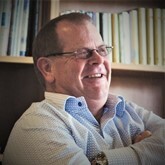 George Benwell was Pro-Vice-Chancellor (Commerce) and Dean of the Otago Business School at the University of Otago from January 2007 to December 2016. After working as a surveyor, consultant and University of Melbourne academic, Professor Benwell joined the Information Science department at the University of Otago in 1990. 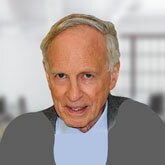 He has published more than 250 conference papers, reports, journal articles, book chapters and books during his academic career. He also supervised more than 35 masters and PhD students to completion.